After Loss, Marine's Parents 'Gained 20-Something Other Sons' Lance Cpl. Brian Parrello was 19 when he was killed by an IED; he was the only member of his platoon who didn't come home from Iraq. Since then, his fellow Marines have grown close to his parents. Let's check in now with StoryCorps' Military Voices Initiative. Each Saturday, between now and Veterans Day, we'll hear a news story from the men and women who've served in the post-9/11 conflicts. Today, memories of a fallen Marine. Lance Cpl. Brian Parrello was the only member of his platoon who didn't make it home from Iraq. They were patrolling near the Haditha dam when Brian was killed by an IED. He was 19 years old. Since then, Brian's platoon and his family have grown close. And one of those Marines, Sgt. Kevin Powell, recently sat down for a StoryCorp conversation with Brian's mother, Shirley Parrello. SHIRLEY PARRELLO: Tell me about the day Brian died. SERGEANT KEVIN POWELL: We took fire that day. And we heard a large explosion, and we could feel it. I see that Brian's laying there with his shirt cut open. His rifle had been blown in half from the IED that he hit. I grabbed his hand, and he looked at me. And he wasn't yelling, and he wasn't upset. I can still picture him. And I picture him all the time. I spend a lot of time laying in bed not being able to go to sleep just thinking, what if I had done something differently? What could I have done better? And I still have those thoughts. PARRELLO: I wanted to make sure that none of you guys felt as if we blamed anybody for what happened. And that I know you guys did the best you could. I'm just happy that he was with his other family. Even though we couldn't be there with him, he was with people that loved him. POWELL: I still think about that day every day, but our relationship has most certainly made it easier. PARRELLO: The day that I met your platoon - do you remember? POWELL: I couldn't wait to meet you and give you a hug. And I remember running through my head what I'd say to you. I walked up to you. I gave you a hug. And I didn't say anything because I couldn't. And I'm sorry for that. PARRELLO: You don't have to apologize because the hug was enough. As a little boy when he would go to bed at night I would tuck him in and give him a kiss and a hug. And then I'd walk out of the room, and he'd say, one more hug, Mom. This would go on. I mean, it was like 10 times. I'd have to go back and forth. And at the time you're thinking, come on, Brian. Please? You know, it's late. And now I would give anything to have one more hug. POWELL: The day that you lost Brian you gained 20-something other sons, and we'll always be your sons. PARRELLO: Yes. You were his family, so that means you're my family. POWELL: It never ceases to amaze me at how strong you are. The things that we talk about that I can hardly talk about, and he was your son. And I want to tell you I know you're hurting, and I'll always be there for you. POWELL: For as long as I'm alive. SIMON: That was former Marine Sgt. Kevin Powell with Shirley Parrello, whose son, Brian, was killed in Iraq. Their conversation will be archived at the Library of Congress. It was recorded in West Milford, New Jersey, where later this year Brian's platoon will join the Parrello family to mark the ten years since Brian's death. 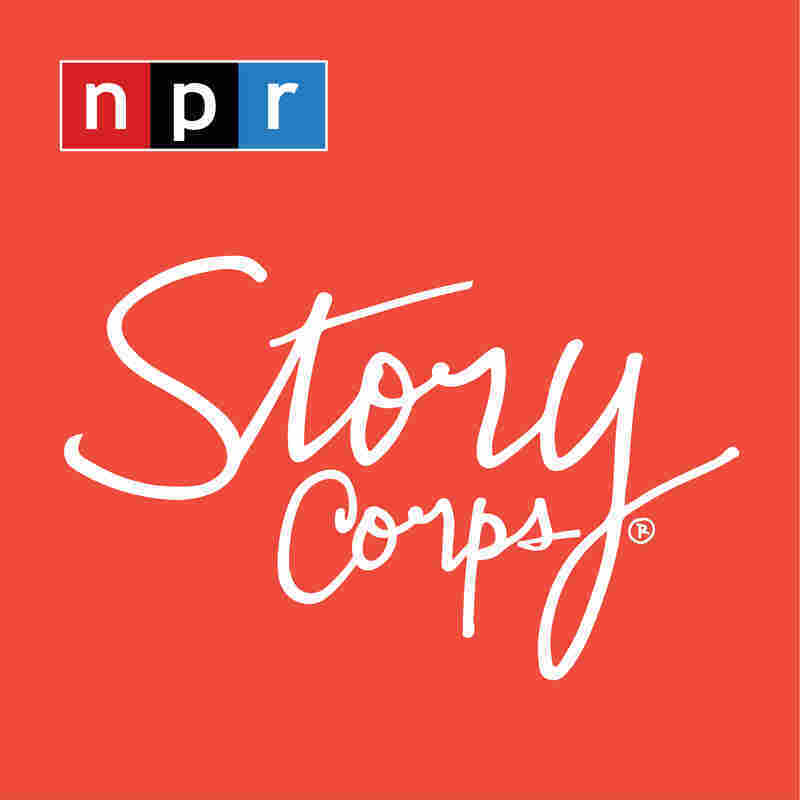 You can hear more from the Military Voices Initiative on the StoryCorps podcast, which you can get on iTunes and at npr.org.